1. I know you're 5 weeks out but my brother is getting married in 2 weeks. Can you please, please do mine first? Absolutely! I'm happy to squeeze in a midnight quilting session!! Rush orders start at an additional $20 and go up depending on the size of quilt. 2. I don't sew. I've got 7 yards of backing that needs to be pieced together. Can you do that for me? Sure! First seam is $5. Each additional seam is $2.50. 3. I can't make my binding look nice for the life of me! 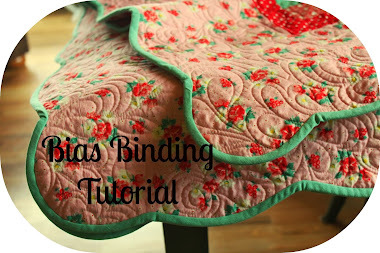 As long as you've done the quilting, can you put the binding on too? Machine binding is my specialty! Binding starts at $21 for a crib size and goes up from there. Just check with me for a cost on your size quilt. You'll need to provide the coordinating binding. Here is the amount I'll need for a double fold binding, regardless of whether it's straight cut or on the bias. 4. I love to sit and hand stitch my own binding while watching my favorite Jane Austen movies, but I don't like to sew the binding on the quilt. Do you do that?" YES - I will cut the binding 2 1/2" wide and charge $.10 per running inch to attach for hand finishing and $.20 per running inch for machine binding. 5. How do I prepare my backing for quilting? The backing must be at least 3" - 5" larger than the top on all sides. It also needs to be square and pressed, including the fabric fold crease. Please don't leave any selvage in the seams - they have no give and create a nasty scrunch! 6. What if I want to scallop the edges of my quilt? If you are scalloping your borders you should have it quilted BEFORE you cut the scallops. 7. What kind of thread do you use? I only use 100% cotton Signature thread. Makes sense to use cotton thread on your cotton fabrics. 8. You should see my UFO pile! I have so many quilts that need to be quilted that my husband is ready to give my sewing machine away! Can you help me? 9. Decimals have always confused me. How do I figure out the cost for my quilt? For example: A queen quilt measuring 90" x 108"
10. I've seen your blue ribbons at the fair. 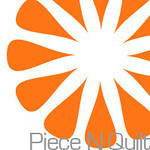 Do you ever sell your finished quilts? I've always got something that I'm working on. You never know what I have around the house. Just check with me. 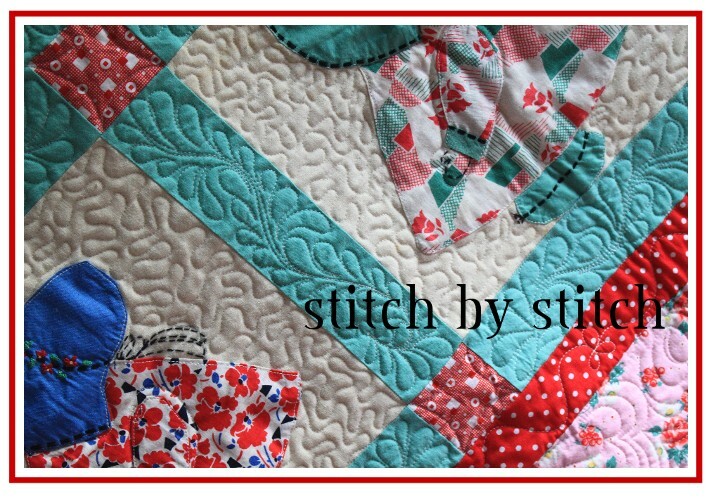 I'm sure I can find a finished top or quilt for your next grandbaby or married nephew! 11. Can I use a sheet for my backing? Sure! I have a couple of requirements. Be sure to trim off all of the hems and pre-wash it.